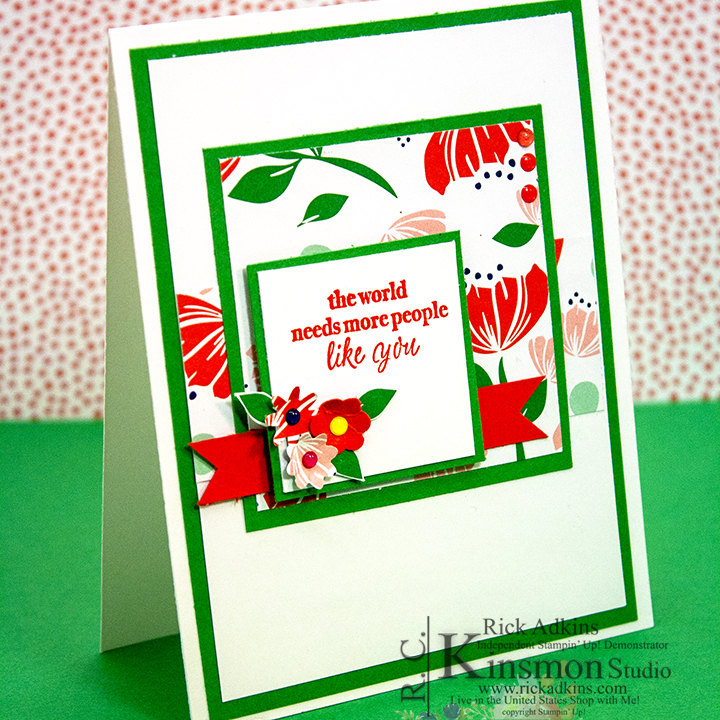 Hello and welcome to my blog; today I am going to share with you my card for this weeks Paper Craft Crew Sketch Challenge. 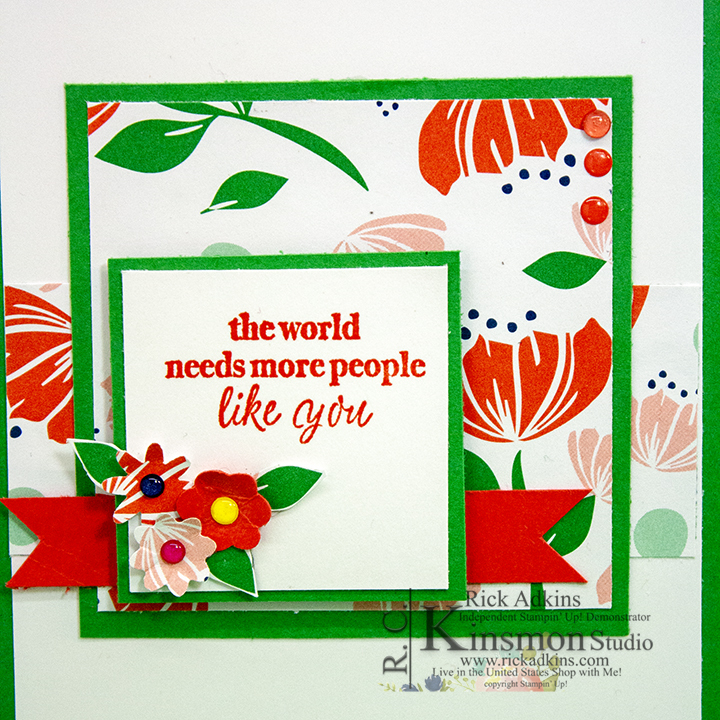 This week we have a sketch that can go as clean and simple or as elaborate as you want to do. I went more toward the clean & simple version. 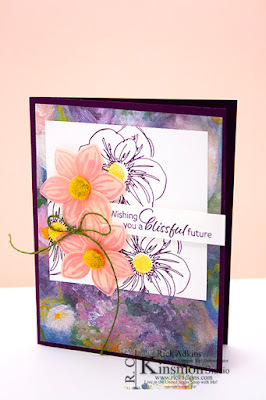 I used the Happiness Blooms Designer Series Paper as the key element for my card this week. Here's a little look at my card. 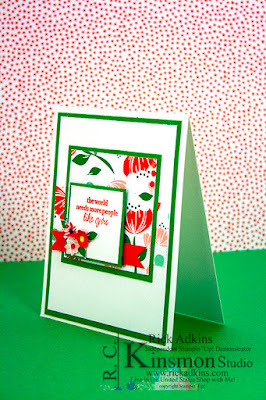 And here's a look at the sketch that inspired my card today. 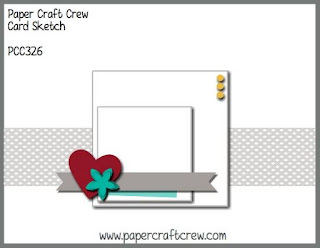 You can click on the picture below and go to the Paper Craft Crew website. The only stamping came with the sentiment. I cut down two pieces of the designer series paper and one (which was cut to 2 3/4 x 2 3/4) was attached to piece of Call Me Clover Cardstock that was made as a mat which measured 3 x 3. The other strip of designer series paper (1 1/2 x 3 3/4) was attached to a piece of Whisper White Cardstock (3 3/4 x 5) in the center and the focal images were layered on top. This piece of whisper white was attached to another piece of Call Me Clover Cardstock which was cut to 4 x 5 1/4. I attached it all to a piece of thick whisper white cut at 4 1/4 x 11 scored at 5 1/2. 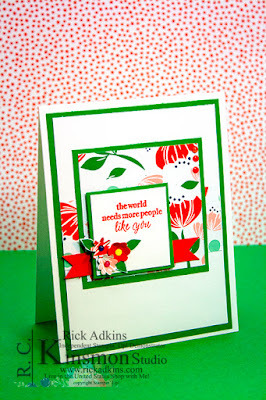 I picked a sentiment from the Part of My Story Saleabration stamp set. 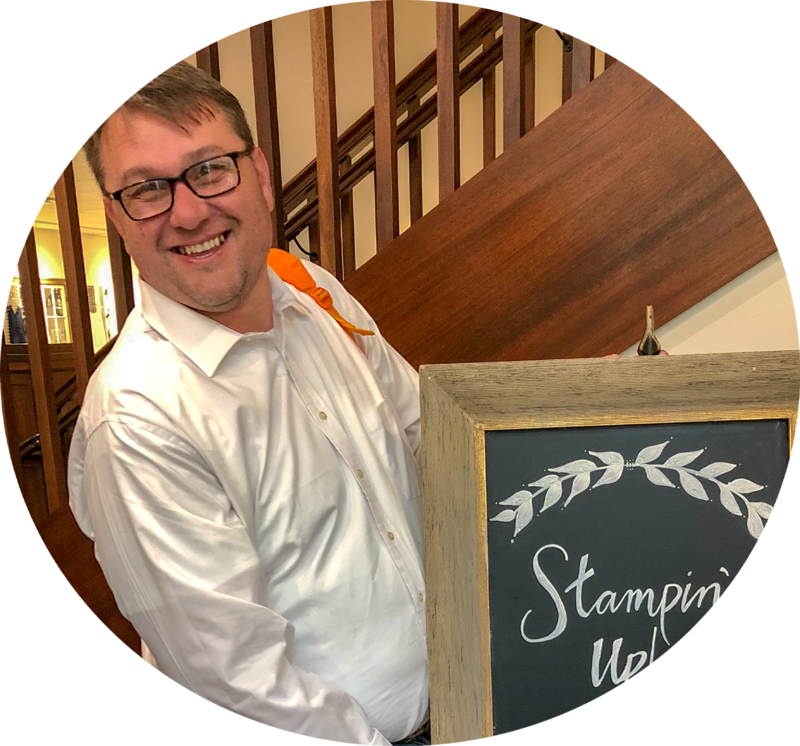 The only way to get this stamp set is to earn it for free with a $50.00 purchase. 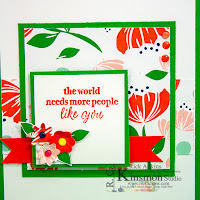 Thanks for dropping by today, I hope that you have a wonderful day and that you have fun checking out what the other designers have came up with with this weeks sketch. You can even try your hand at creating your own version of this weeks sketch. If you would like any of the supplies you've seen in my post today you can order in my online store 24/7 by clicking on the shop tab above or by clicking on the item in the shopping list below. 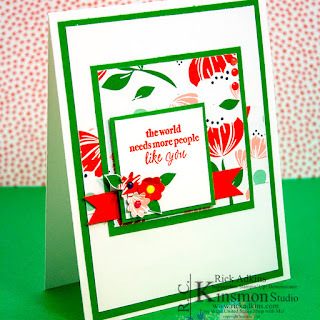 Labels: stampin' up!, crafts, cardmaking #pcc326, Happiness Blooms, rick Adkins, Stampin' Up!